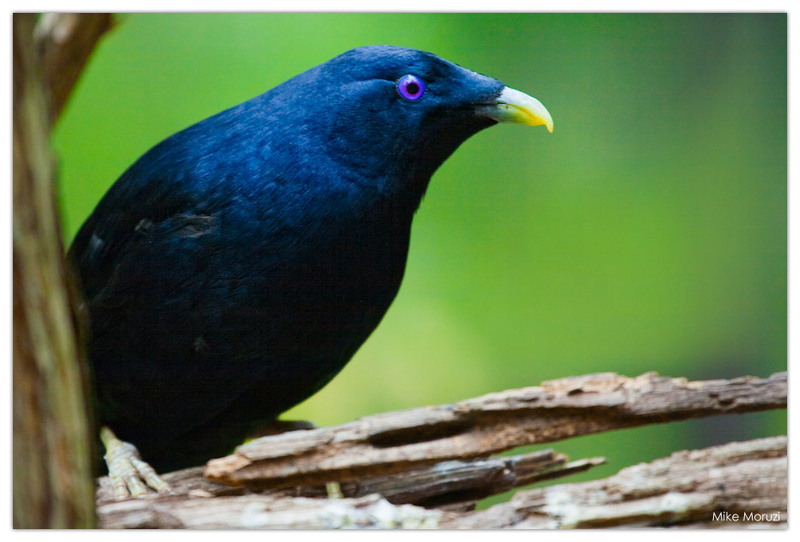 For Saturday, I offer up this cheeky little satin bowerbird. Bowerbirds build structures made from sticks and various bits of detritus. These structures are called ‘bowers’ and are built to impress the females, who will check out the bower to see if they’re impressed even before they inspect the male. These birds seem to have a particular eye for anything blue and will pick up trash, berries, and anything else they find that’s blue to embellish their bowers. A Bit Off Topic but………….have you and the family had a chance to see the new baby elephant yet? He’s really cute (but hard to get close enough for a photo). Not yet. We should though. Our youngest is a huge fan of the elephants. I really should take her over to see the new arrival soon!